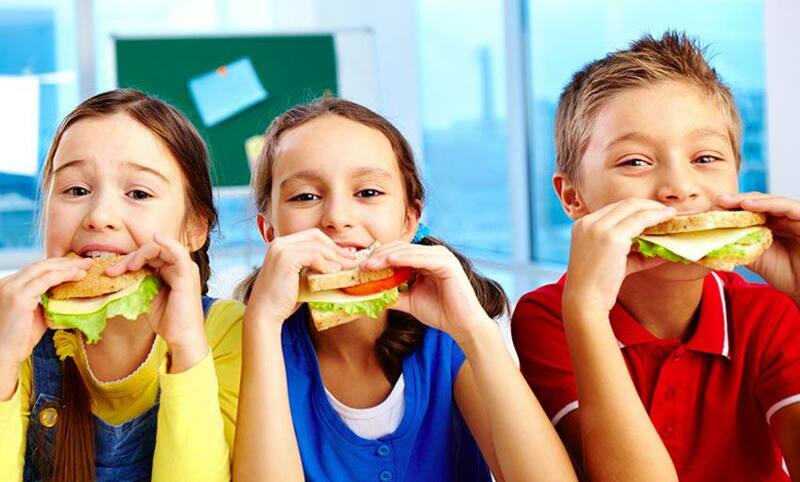 Here’s to healthy, happy lunches! Buy robust and good quality containers that fit your needs. • Opt for containers that snap tight to make it easy to carry yogurt, vinaigrettes, and fruit salad without messy leaks. Be sure to look for microwave-safe brands to prevent any contamination from plastic. • Pick up a few thermal containers to keep food hot—or cold—for soups, pastas or salads. • And remember to label everything clearly with your child’s name. It makes life easier for school and day care staff—and saves you the trouble and expense of buying replacements. If your child has the option, why not encourage your kids to rinse out their containers at school? It makes cleanup at home a lot more pleasant. 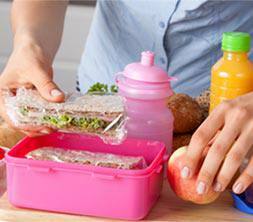 A little prep time allows you to make delicious lunches at affordable prices. • Groceries: Make a list. Avoid processed and packaged foods that tend to contain a lot of sugar, salt, and/or fat. Avoid products that contain peanuts and other tree nuts that are not permitted at most schools. 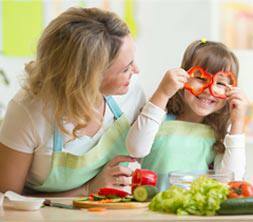 • A matter of taste: Get your kids involved in choosing foods in order to keep waste to a minimum. If broccoli is not a favorite at home, it’s not going to be a hit at school either, no matter how hungry your kids are. • Chop, chop! Get a head start by washing and cutting vegetables as soon as you get home from the grocery store, rather than risk having them spoil in the fridge. Once chopped, store them in re-sealable bags or containers. • Down with waste: Opt for “multipurpose” foods. 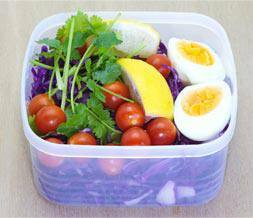 For example, leftover pasta from supper can easily be converted into a lunchtime salad the next day. Add a homemade vinaigrette, a few cubes of feta cheese and some herbs to whip up a kid-friendly lunch. Leftover salmon makes great sandwich topped with a crunchy piece of lettuce. • Creativity: Visit your local bakery regularly. Olive bread, focaccia, and other specialty breads are easy to freeze. For a tasty sandwich, use your imagination to mix and match condiments: nut-free pesto, tzatziki, hummus, flavoured mayo, basil, and more! • Health: Visit your local bakery regularly. Olive bread, focaccia, and other specialty breads are easy to freeze. For a tasty sandwich, use your imagination to mix and match condiments: nut-free pesto, tzatziki, hummus, flavoured mayo, basil, and more!. • Beauty: Play with color. Red quinoa, kale, dried apricots, and sculpted raw veggies help liven things up. And be sure to use containers that are the right size. A squished muffin won’t look appealing, no matter how good it may taste. 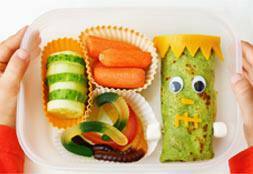 Make your child’s lunch a source of comfort by throwing in the occasional surprise along with colorful special touches. A simple note of encouragement can be a ray of sunshine on a tough day. The occasional treat will also be a welcome surprise. Your family’s health is important. That’s why we offer custom-tailored products to help keep your family healthy.